Are you tired of people not paying you the homage that you deserve? Are you tired of the common folk treating you like some kind of ordinary peasant? Need something to wave around in the air to grab everyone’s attention at the next proclamation. Well, friend, you’ve found the answer to all of your problems right here! 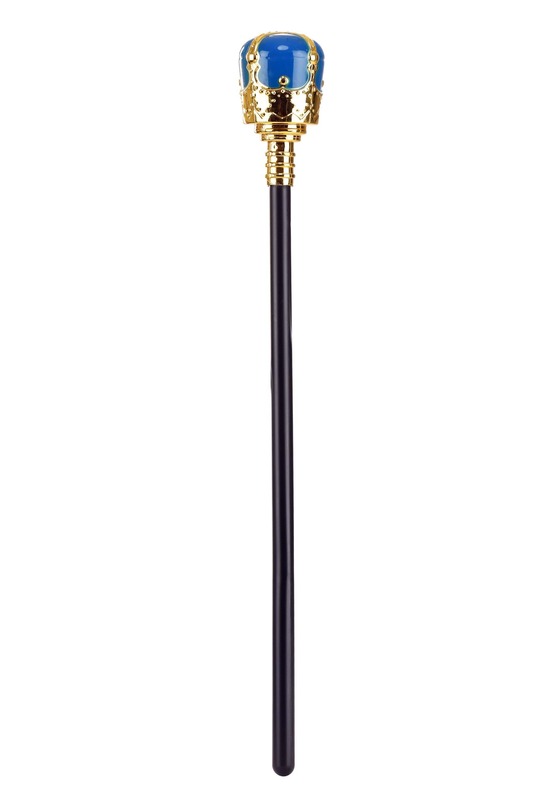 This Blue Royal Scepter displays your regal nature to the world and all you need to do is hold it in your hand. Yes, this scepter measures 19 inches long and is topped with a bright blue decoration on top. It has shimmering gold accents befitting of a king or queen and it fits comfortably in your hands. Just pair it up with a kingly robe and a crown to make the townsfolk notice your magnificence! You can wave it dynamically through the air as you give speeches to your subjects. You can raise it sky high whilst proclaiming the latest law. You can even just casually hold it by your side. 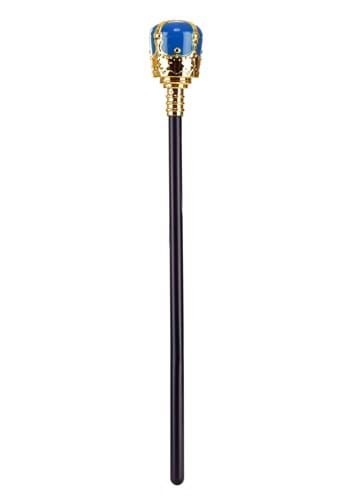 Of course, this scepter won’t actually entitle you to any thrones, but when you hold this accessory in your hands, it will be hard for anyone to even tell the difference! It’ll be your time to shine!